On day one of the new homeschooling year I was excited to start new curricula. I called the three kids to the table and began an enthusiastic explanation of our new schedule. I didn’t get far before my son announced he felt sick, and ran for the bathroom. So our year did not start off as I had expected. In fact, it was later that same first day my daughter shared with me a secret. Her sickly brother, while lying on the couch sipping a soda to calm his stomach, had generously let her have a drink. Soda is a rare treat in our home. By weeks end I had two sick students. With the queasy start to our school year, I made a note to do a science review on the many ways germs can be spread. Illness aside, I was eventually able to discuss a decision for year round schooling. Although I am making some alterations to fit my families schedule, we will be following the suggested six-weeks on and one-week off pretty closely. Selling my kids on the idea of year round school was not initially easy. Printing a one page calendar allowed me to highlight every week off, and helped them see they weren’t losing anything. Our schedule change remains compliant with our state law regarding the number of days I am required to teach. HSLDA is a great resource to see if your schedule meets your states requirements. I haven’t posted our curricula for a couple of years. I just let it drop off my radar. 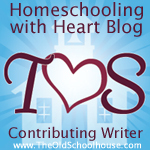 I’ll confess, I actually like reading what other homeschooling families are doing. Is that strange? I enjoy reading what schedules work and what curriculum failed. I like hearing reviews of how various curricula was used and the pros and cons. As most of our books are ordered online, reading those reviews often helps me make better decisions. The core of our studies this year revolve around 180 days Around The World by Apologia. I have to admit it was a bit of a compulsive purchase when I found it late one evening, on the last day of a sale. After two years studying US states, I knew we were headed for a world study, but struggled to find something that could span my kids’ 3rd-8th grade range. I’ve come to trust Apologia after several years using their science curriculum, so took a leap of faith. When the books arrived, I did experience a momentary panic attack realizing there was no lesson plan or text-book like their science curriculum. Some quick online searching and I was thankful to find another mom graciously sharing her lesson plan. I’ll do a review on the curriculum later in the school year to share more of our experience. Although the curriculum indicated it covered early elementary through high school, I quickly realized it was going to be too much for my youngest. I wasn’t detoured as I previously adapted our US state studies to challenge my older students for the last two years. I set aside the student workbook I had ordered for my 3rd grader, and began putting together other assignments. I purchased a used copy of Galloping The Globe to help me with this task. Other subjects are more individual to each student. They are all using the same curricula, but each at a different level. Reading is a common activity in our home. Both read-a-loud and individual reading. We are regulars at our local library, and have a growing home library. I’m careful what books we choose. Ambleside is a good resource for a reading list. I’ve also found titles while reviewing various curriculum catalogs. Many companies have online catalogs or you can request to get on their mailing list. Some of my favorite companies, and ones I’ve order from in the past, are Sonlight, Beautiful Feet, and Heart of Dakota. We have a lot of changes to our year with schedule and curricula. Although it feels both exciting and overwhelming, we’re enjoying learning. So, how is your school year going? What curricula are you using?